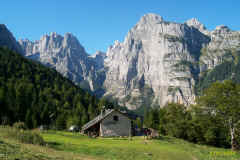 A small refuge which stands on the slopes on Monte Daino above Lake Molveno facing the Pradel tableland. 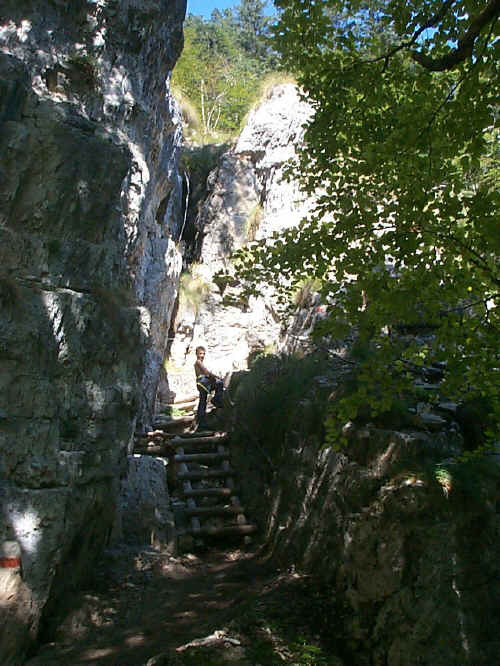 It is accessible along path 332 which climbs up from the camp site at Molveno or along the Donini route, which has fixed rope supports and which also starts from Molveno near the Ciclamino Bar. A forestry road, closed to motor vehicles, goes up to the refuge from the Baita Fortini Alpine hut through the Bondai wood and along the Ceda Valley. The Malga Andalo Refuge is linked to the Selvata and Pedrotti refuges by the Donini route, which has fixed rope supports in the short stretch which crosses the rock spur of the Dos dei Casinati Peak. 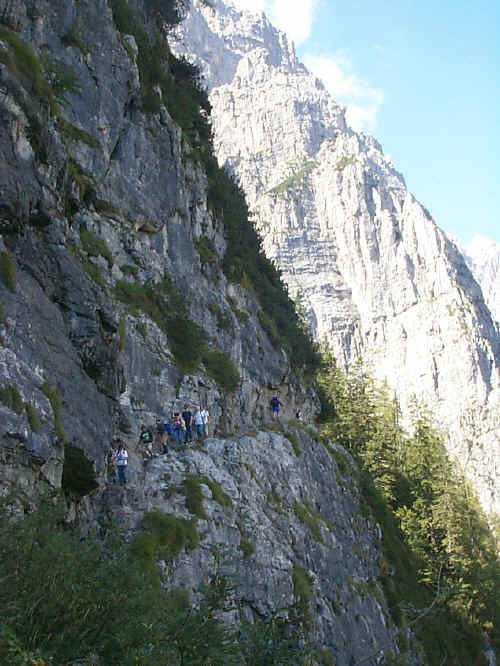 A path leads to the west to the ruins of the Malga Ceda Bassa; from here, climbing up the Ceda Valley you come to the Ceda Pass and to the Forcolotta di Noghera pass: fork for the Agostini Refuge in the Ambiez Valley or for the Pedrotti Refuge. Description traditional access route which intersects the forestry road. The stretch of the route linking the Malga Andalo Refuge to the Selvata Refuge which has fixed rope supports. Description : a path designed and laid out by Celestino Donini. It joins the mule-track which starts from Pontesel, near the Ciclamino Bar and climbs up the right bank of the Seghe Valley towards Glacion. An enjoyable itinerary through a dense wood of broad-leaved trees and firs. Steep and slippery in parts. Description : easy access route. 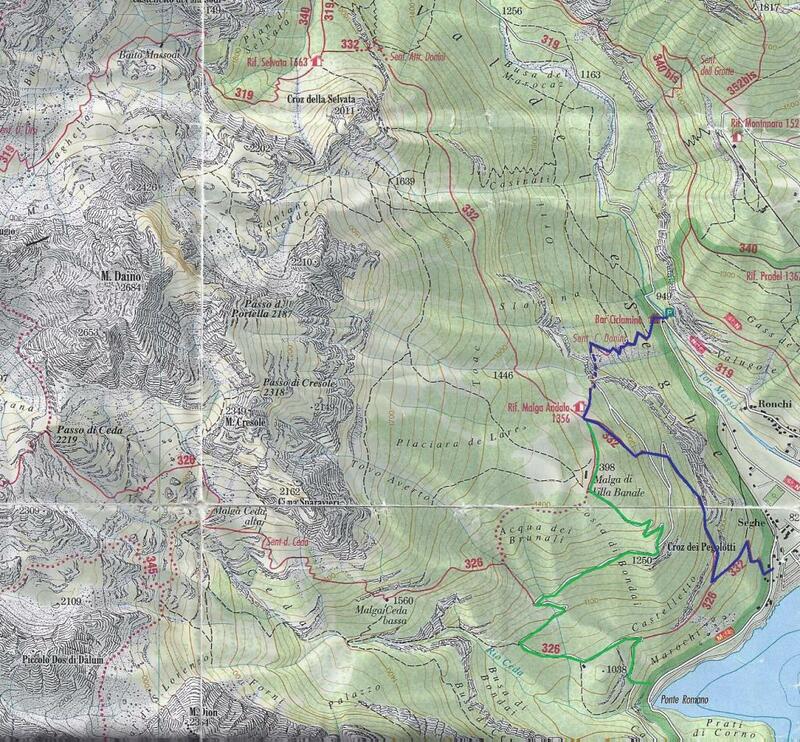 Longer route than the previous ones, but flatter and without any very steep slopes. 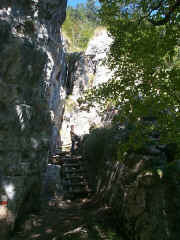 The Ceda Valley: path 326 goes along it as far as the Pozza Tramontana hollow.